The 95th anniversary of the first female composer of East Shafiga Akhundova was solemnly marked in Baku. The literary evening dedicated to prominent composer was held in Shaki Cultural Center, Trend Life reported. The artistic director of the center, Rashad Rustamov, spoke about the life and work of Shafiga Akhundova, highlighting her contribution to national art. 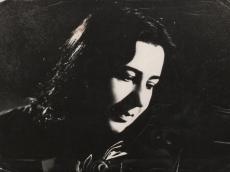 Shafiga Akhundova was first professional female author of an opera in the East and a legend of the Azerbaijani music history. The composer always wrote only about what touched her heart and expressed the highest human feelings. Therefore, her music finds a lively response in the hearts of listeners. Akhundova has opened a brilliant page in the history of Azerbaijani music art, creating a myriad of beautiful works. The legendary composer, who was born on January 21,1924 in Shaki, devoted her whole life to the culture and art of her home country. She was born into a family of an eminent public figure Gulam Akhundov. He did not approve the passion of her daughter. Although they had a piano at home, he always kept it locked to prevent little Shafiga from playing it. When her father knew that Shafiga attended the Conservatory, he got angry with her and didn't let her come home. She even had to stay at her neighbors' place for a while. The father was afraid that, having engaged in music and art, his children would face financial difficulties. Thus, he wanted to see his daughter as a doctor. However, love for music overcame all challenges. Years later, he realized that he was mistaken. Shafiga received her primary education at Baku Music School named after Asaf Zeynally, where she had been taught by Uzeyir Hajibeyli for eight years. Then, in 1956, she continued her education at Azerbaijan State Conservatory named after Uzeyir Hajibeyli, from which she graduated from the class of prominent composer Boris Zeydman. In 1972, Shafiga composed her first opera "Bride’s rock" and became the first female composer in the East. The opera was composed on the libretto of Iskender Joshgun based on the story of the same name by Azerbaijani writer Suleiman Rahimov. Initially Shafiga Akhundova wrote music for the radio play "Bride’s rock". In this music, the song "Melodies of the Heart" was especially popular. The author of the novel Suleiman Rahimov suggested composer to write an opera. The opera was staged on the stage of the Azerbaijan State Opera and Ballet Theater in Baku. Akhundova is also the author of the wonderful songs "Leyla", "Happy Land", the operetta "Our home, our secret" (1965), pieces for a string quartet, the dramatic plays "Aydin", "Farewell to India! ", "What do you live for? ", etc. and music for children's plays such as "A tale of a clown", "Birthday of a rabbit", etc. She is the author of more than 600 works and composed music for more than 30 spectacles staged in state theaters. In 1998, Akhundova was conferred a title of People’s Artist of Azerbaijan and in 2005 she was awarded with the Shohrat Order. For many years she combined her creativity with the pedagogical work at the Azerbaijan State University of Culture and Arts. She wrote a number of critical articles, reviews of performances and concerts. She was a welcome and invariable guest at the creative meetings of composers, poets and writers. Shafiga Akhundova suffered from heart disease for a long time. He passed away on July 26 at the age of 89. Her beautiful music will remain forever in the hearts of Azerbaijani people.